Thanksgiving is my favorite holiday. It is a day of celebration with no pressure to buy gifts, put on a costume or be the perfect host if you don’t feel like it. Sure, you may have to cook, but if you choose, you can go celebrate at someone else house. 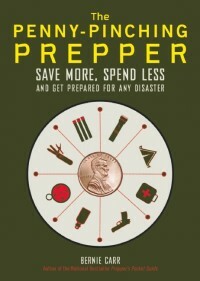 Adopting a preparedness mindset I have become aware of all the things that can fail in our system. But I am grateful for things that have not failed. We have a roof over our heads, power to keep the lights on, water and food to enjoy a bountiful Thanksgiving meal with family and friends. I also want to express my appreciation to all my readers. Your continued support inspires me to keep writing this blog. Thank you for commenting, sharing your experiences and for spending part of your day with me.